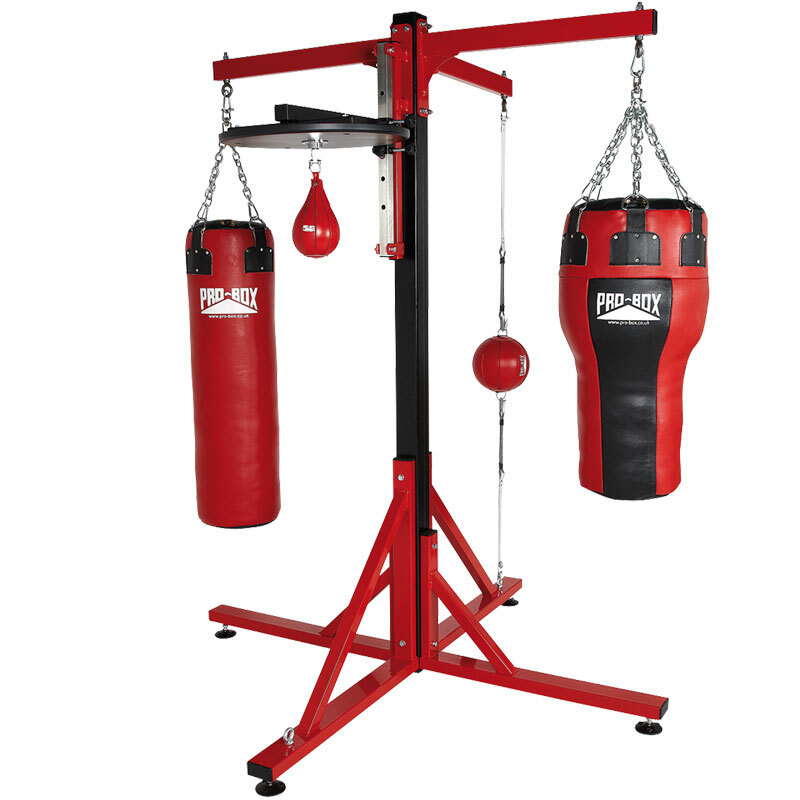 The Pro Box Colossus Four Station Frame With Speedball Option is a heavy duty box section construction frame, with durable powder coated finish. Can be used by 4 people simultaneously. (Max bag weight 80kg) No floor fixings required. Footprint size 2040(L) x 2040(W) x 2530(H). Bags, Speedballs and Floor to Ceiling Ball not included.